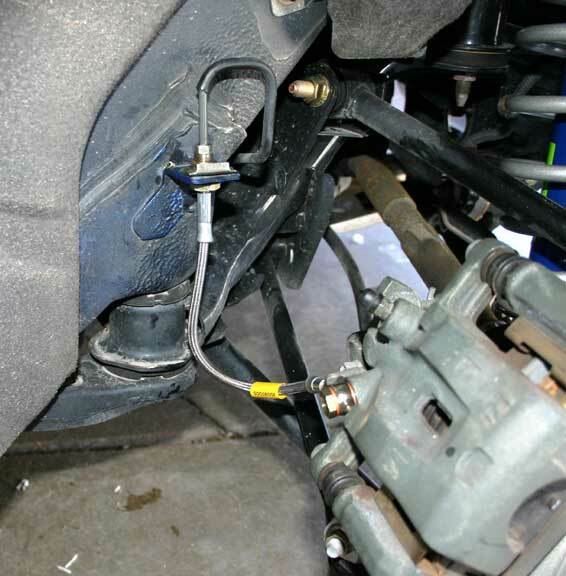 The last piece in this round of modifications was to replace the rubber flexible brake lines with stainless steel braided ones. 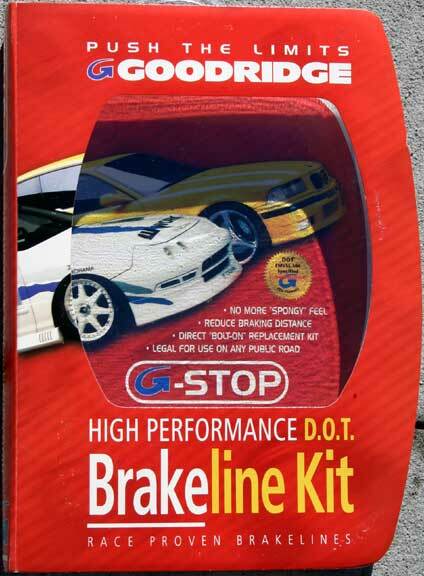 There are several kits out there, but I choose the Goodridge G-Stop ones after several positive comments. They are DOT approved for street use. This is the front setup. The instructions say the lines are 0.75" longer than stock, which is true. 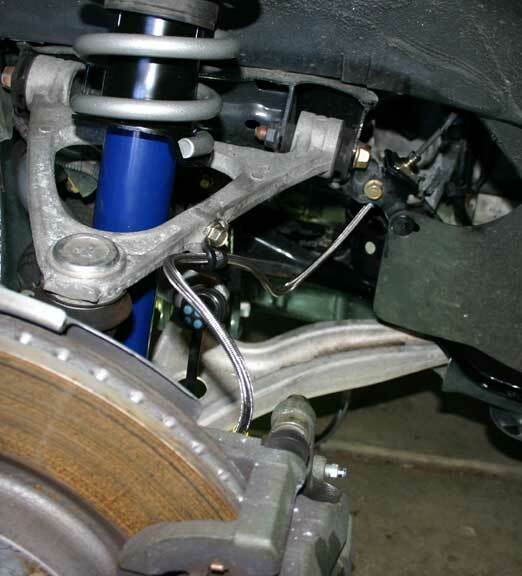 You nee to be careful about routing them so they don't get hung up on anything while the suspension goes through its full range of travel (that would be a BAD thing). The mounting holes through the clamps to hold the lines to the upper control arms was too small for the stock bolt, so I opened them up with a drill.